Realtek High Definition Audio Driver is the sound drivers for a new generation of audio Realtek (HD Audio), allowing you to get the movie theater-like audio experience inside your room/home. The Realtek HD Audio Driver will provide you with listening capabilities for multichannel sound such as DTS, Dolby, and Surround. Additionally, they are compliant with Microsoft's UAA (Universal Audio Architecture). The top series provide 10 DAC channels that simultaneously support 7.1 sound playback, plus 2 channels of independent stereo sound output (multiple streaming) through the front panel stereo output. Flexible mixing, mute, and fine gain control functions provide a complete integrated audio solution for home entertainment PCs. The advantages of High Definition Audio specification before AC 97 include full support for new audio formats, a high frequency bandwidth, support for connecting audio devices, under Technology Plug and Play, more accurate speech recognition and input. The Realtek HD Audio Drivers support all of Realtek HD Audio Codecs and OS from Windows Vista and above. 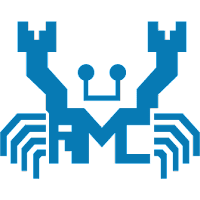 Note: Advanced users can install the latest Realtek driver version 6.0.1.8245 - using the cabinet file (.cab extension). Note: You can also download Realtek HD Audio Drivers from official Realtek site - please note that you'll need to have cookies enabled. Disclaimer: Direct downloads for the lastest version of Realtek HD Audio Driver R2.82 (6.0.1.8186) are provided by the official software's author, we can't guarantee safety, availability or download speed. Moreover, we don't and we won't provide any pirated/illegal versions or tools. We recommend you to avoid it as these methods can harm your device. If you like the software, buy it to support the developers. (We provide software discounts for many worldwide brands).